These are useful for all Gamefish, Grayling, Brown, Sea & Rainbow Trout. A small lure attractor that tempts all Gamefish, can be used on pin fry feeding Rainbows or Corixa feeding wild trout. 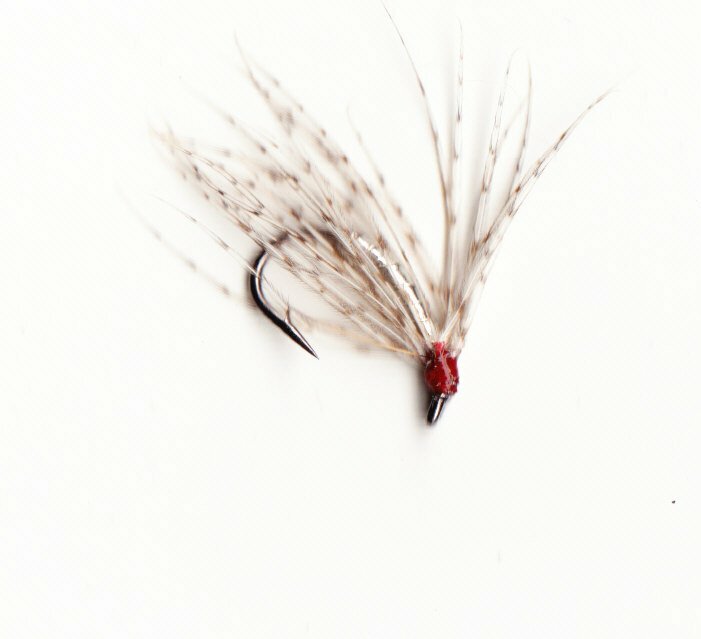 Tied with a hot tag and hackle to make a fly that shows up well in peat stained water. Another Grayling fly that trout love, tied with a tag and treacle brown hackle.